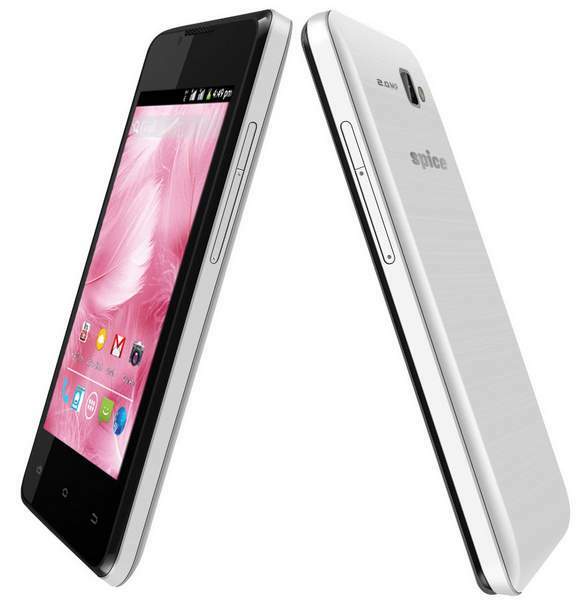 Spice Stellar Glide Mi-438 is official now for a price of RS 5199. The Spice Mi-438 comes with entry level specs and features. It gains the strength from 1.3Ghz dual core CPU. It is dual SIM phone with 3G capability. It runs on Android 4.2 Jelly bean and has 512MB of RAM. Spice Stellar Glide Mi-438 has 4 inch OGS display. It packs with 2-megapixel rear camera with Flash and a 1.3MP front camera. It offers 3G, WiFi, Bluetooth v3, GPS and Fm Radio connectivity. It has 4GB of Internal storage and further expandable by micro SD card up to 32GIGS. The phone is powered by 1350 mAh battery, which gives 4.5 hours of talktime and up to 170 hours of standby time. The Steller Glide Mi438 comes with a free flip cover and a Screen Guard ( included in the RETAIL BOX ).